So, it’s been a while huh? I thought I would write a post to explain our absence and update you with what has been going on with us. But first a history lesson (did you know that Courtenay and I are both qualified history teachers? - we’ve only ever taught English since getting our teaching diplomas though). 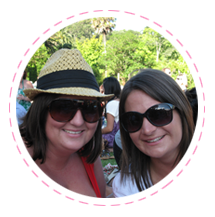 When we first began this blog (back in 2010! ), Courtenay and I were both fairly new to teaching and working at the same secondary school in South Auckland. We both quite liked baking and would sometimes bring in treats we had made to share at work. Our colleagues would often ask for the recipes (they were probably just being polite), so one day when I was driving home I thought ‘why not start a blog?’. Stuck in traffic (I used to work in South Auckland before the Mangere Bridge was upgraded so my trips home were often close to an hour) I began dreaming all about it, I even came up with the name ‘Baking Makes Things Better’ based on the fact that often when I had had a crappy day all I felt like was forgetting it by making a batch of chocolate chip cookies. I can’t remember if I got home and told Courtenay about my idea or if I couldn’t contain myself and called her from the car, but either way she agreed with my ramblings, despite I think not know what I was on about, and so bakingmakesthingsbetter.com was born. When I first set up the site, it was just for fun. We baked as a hobby. We definitely weren’t food photographers. I didn’t really know what I was doing with the tech side of the blog, Courtenay even more so. But, we enjoyed it. It was a fun creative outlet. We posted recipes mainly for ourselves and never really considered people were reading it. I set up a facebook page and we harassed our friends to like it. Soon random people we didn’t know started liking the page and our blog readership grew. We started posting to our blog all the time - like, all the time. I was talking to Courtenay or sending her a dozen facebook messages daily about the blog. Thinking back to what was going on in our lives at the time, I had met and started dating Simon and we had moved in together. Courtenay became pregnant with Max, went on maternity leave and after Max was born her little family moved to New Plymouth. All the while, our blog readership grew, we were becoming a little more professional at this blogging thing, and our social media numbers were climbing. One day we got an email from someone at Food TV. They were looking to reach out into this growing world of blogging and contacted us. We didn’t really believe it, but went along with it anyway. We got back to them and the next thing I know is that a meeting was arranged and I was making my way into the Food TV offices one day after work. Courtenay wasn’t in Auckland so I nervously had to go into the offices by myself - I remember walking in to be confronted by a life size cardboard cutout of Colin Mathura Jefferies promoting season one of NZ’s hottest home baker, and wanting to snap a sneaky pic of it to send to Courtenay but being too afraid of getting caught by a staff member. I left the meeting carrying a bunch of random cook books that they had given me. We signed a deal which involved us being sent new episodes of their upcoming baking shows to review on our website (Courtenay somehow managed to fit this into her life, as I didn’t have Sky TV!). In exchange, they advertised our blog on their channel. Food TV whipped something up and next thing we knew, during the ad breaks our little blog was being promoted on the telly. Our blog readership soared. We were being sent products from PR companies and invited to Press events. It got to the point where we had a calendar and we would book in when we were posting something. I even colour coordinated the thing. I must’ve been a nightmare to put up with. In fact, there were a couple of phone calls between Courtenay and I where things had become too much. Courtenay persevered with me, but it got to the point where both of us had had enough. She had moved back up to Auckland and was getting back into teaching. I was still working at our old school. The blog needed someone to work on it full time, but it was never going to pay our wages despite us taking on advertising, not even close. While it was really fun receiving packages of new products in the post, the resulting pressure to then create a recipe and blog about it all was huge. It became a real drag to see all the other awesome creatives from the food and mummy blogging community that we followed and had watched grow over the years also being sent the same stuff and posting about it. We felt like we’d just become a cog in the advertising machine. It made us step back and realise that we weren’t baking and blogging for us anymore. We couldn’t keep up with what we had created. After a lot of discussion, we ended our relationship with Food TV and decided to blog only when we felt like it. But, I think by the time we had got to this point, we had burnt ourselves out. Blogging has now taken a backseat in our lives. In the last few years, Simon and I have ticked off a lot of things that we have planned together. We saved up and went on a big overseas trip to Europe. While over there we got engaged, and then a year and a half later we got married. We’ve then spent the past year looking to buy a house. Weekends visiting on average 10 open homes does not leave a lot of time for baking! The time, energy and money spent trying to find a home has left me pretty drained. However, we did recently manage to buy in the Auckland property market and have just moved into our first home which we are super excited about. I also started at a new school at the beginning of this year, which I am loving, but boy does adapting to somewhere new also zap your time and energy. Courtenay has also thrown herself into work, taking on lots of new responsibilities. It amazes me how many things she is involved in with her career. At the start of this year, little Max, who is not so little anymore, turned five and started school. So, Courtenay has been juggling work with Max being a primary school kid. And, most excitingly, she is expecting baby number two! Courtenay and Shane are adding to their family with a little girl to be called Ava, who is due any day now. We all can’t wait to meet her. So, that’s what’s been happening with us. We do still love baking - eating it more so than the time it takes us to bake it, photograph it and then write about it if we were to put up a blog post. 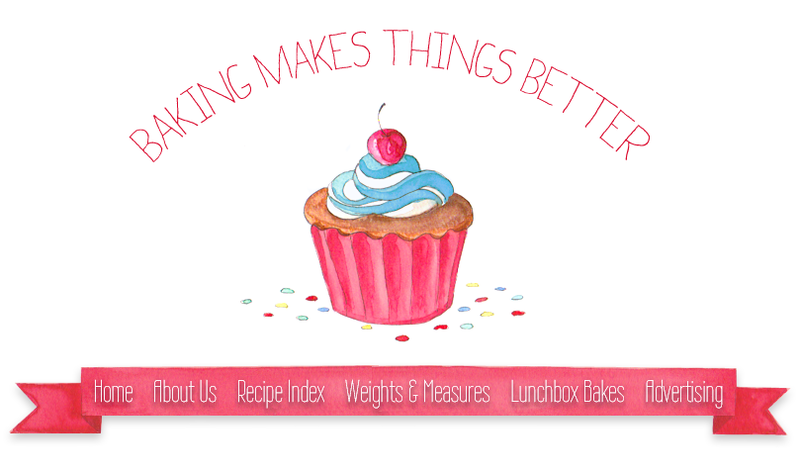 We are incredibly proud of what we achieved with Baking Makes Things Better. I was looking through the blog before writing this and I can’t believe that ‘I actually did that’ when looking at some of the recent posts - I decided on those flavours, made up that recipe and took that beautiful photo. It’s really cool. We might start posting again, we just don’t know. We’ve left the blog running to keep what we’ve created available for everyone to enjoy and we may pick it up again if it takes our fancy. I thought up the recipe for this CocoNut Cranberry Fudge (aka. White Chocolate Fudge with Coconut, Cranberries and Macadamia Nuts – just thought it was a little bit too long of a title) a wee while ago and finally got around to making it. And, I am glad I did because it is my new winner of a recipe! I wanted something that would make a great festive season recipe, but I didn’t really want to put pistachio nuts in it (as that’s what most Christmas recipes put in because they look great with the touch of green included), as I didn’t feel like they would go well with the flavour of the fudge. So, I tried macadamia nuts instead and they are perfect. The fudge is really quick to make and doesn’t involve anything fiddly like using a sugar thermometer. It would make a great gift too. I also think that you shouldn’t be just making it at Christmas either, this fudge is a delicious treat at anytime of the year! Grease and line a 20cm square pan with baking paper. Melt the butter in a pan. Remove from heat, add the brown sugar and stir until thoroughly combined with the butter. Add the condensed milk and stir until combined with the sugar and butter. Add the golden syrup, mix and return to a medium heat. Stir the mixture constantly for 10 minutes (be careful not to let the mixture get to hot or boil to rapidly as the sugar will start to crystallise, which still tastes quite nice but ruins the smooth consistency. If the mixture does start to crystallise remove from the heat immediately and stir rapidly). Remove from the heat and add the chocolate melts. Mix until smooth. If needed, place the mixture over the heat to help melt the chocolate. Stir through the coconut, macadamia nuts and cranberries. Pour into the prepared tin. For the topping, sprinkle the coconut, macadamia nuts and cranberries over the top of the fudge, lightly pressing the nuts and cranberries into the mixture. Refrigerate until set (a couple of hours). Once the fudge has hardened, cut into cubes ready to eat.